Buying beekeeping supplies doesn't have to be stressful. There are so many suppliers who carry everything you need, from woodenware (the wood boxes that make up Langstroth hives) to smokers, to feeders and more. Make a list of supplies you need, then visit one or more of these suppliers and place your order. Most will ship anywhere. If you're ordering supplies that are heavy to ship (like woodenware beehives), you may want to choose a supplier that is in your geographic region so that shipping costs are minimized. Most of these suppliers charge actual UPS or FedEx shipping rates from their location to yours based on how heavy beekeeping supplies can be. You can also go pick up your order locally if one of the suppliers is close enough to you. Draper's Super Bee Apiaries sells a full list of beekeeping supplies, from woodenware (beehives) to beginners' kits. They have very helpful videos on their site. They also sell observation hives and have listings of used equipment on their website. Rossman Apiaries offers a variety of beekeeping equipment, including their own line of cypress beehives. Unique to Rossman are Ross Rounds, a special kind of equipment for comb honey production. Rossman Apiaries has been in business for 77 years! They are located in northern Georgia. They sell hive equipment, nuc woodenware, bee suits and other beekeeping clothing, smokers, fuel, honey extractors, supplements and feed, and queen rearing supplies. Mann Lake provides a complete list of beekeeping supplies, from medications to bee suits and everything in between. They are an employee-owned company with locations in Minnesota and California. They sell a wide variety of foundation options. Kelley Bees offers beekeeping supplies as well as package bees and queens. Located in Kentucky, they have a full range of beekeeping equipment, including some attractive kit packages for those just getting started. 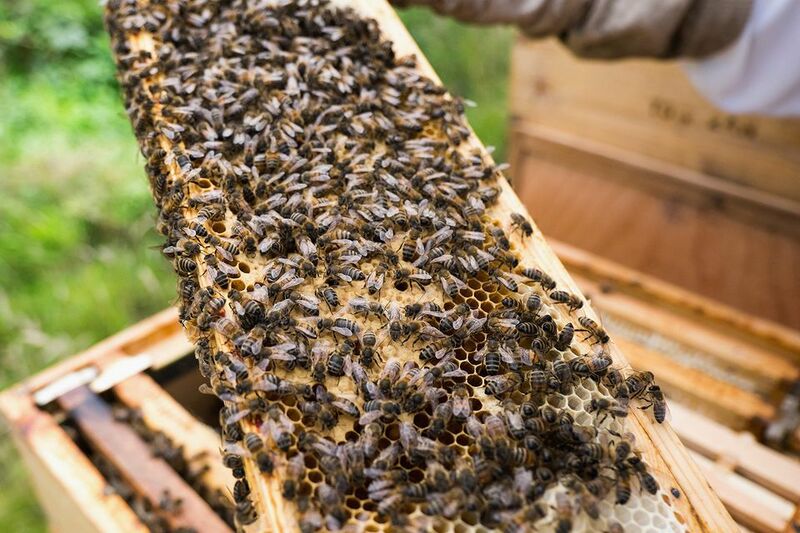 Based in Connecticut, Betterbee serves the Northeast and New England area with a full line of beekeeping supplies. They also ship all over the U.S. via their online store. They stock everything you need to get started in beekeeping. Miller Bee Supply sells both 10 and 8 frame equipment as well as nucleus colony woodenware, medications, feeding supplies and books. Located in North Carolina, they are a good choice for those in the mid-Atlantic states or the South.